Does not delete arrived flights as set. It works well, but deleting flights automatically requires restarting it, etc. 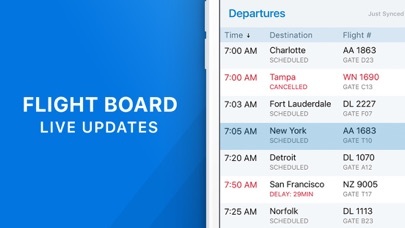 completed flights should be gone at the time interval set on open. It’s been so long, and this still hasn’t been FIXED. 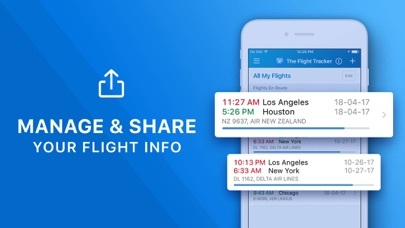 The completed flights are deleted ONLY AFTER ADDING A NEW FLIGHT! That’s ridiculous. I use this for work whenever I have an airport pickup. Pretty useful and accurate. 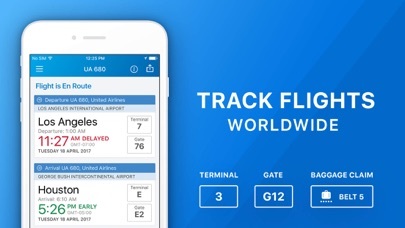 I Paid for this app several years ago, they removed from the App Store and changed name from “Flight tracker” to the “the flight tracker” and had to pay again, unfair and unethical business model. I paid 5.99 to get international flights, and the app did not have Latam airline. It flys in Colombia. This was a useless paid app. I want my money back. As a person that travels twice a week on short notice there are several things that could make this app much better. For instance, let me turn off the rotating code share Airlines. Air Tahiti Nui does not fly between LAX and PHX. Also, let users decide if they only want to see non-stops or not. Most people don’t want to make 5 stops on Southwest to go between DEN and PHX but the app will show that as a flight number stopping 4 or 5 times. Other than that the app seems to be very accurate and stable. It could just use a few options and cleaner font. 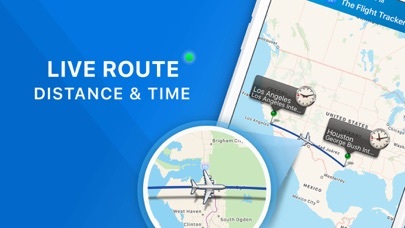 This app was a great companion when I traveled for a living. Anyone who flies knows that when you land it can still be a while until you can get off the plane. Having this helps in saving time as I could get gate changes notices before I got off one flight. Getting updates on gate changes when I landed keeping from getting stuck in a group of people checking the monitors for flight updates. Maps of the airport was a much appreciated feature. I even helped people on the plane check their connections. Always use this app and it never disappoints.